Being labeled “high-risk” for credit card processing sounds like a bad thing, and in many cases, it is. But the situation isn’t as clear-cut as it may seem: for some merchants in certain verticals, the cost of being a high-risk merchant might be overshadowed by the potential benefits. In order to accept credit card payments, a business must first obtain a merchant account with an acquiring bank. The cost for this service can vary dramatically based on multiple factors, most notably the type of business, the way transactions are performed, and the historic risk of loss. Fees are naturally higher for high-risk ventures, and a specialized payment processor will usually be required. (For a thorough explanation of high-risk merchant accounts, check our knowledge base article.) Generally, processors avoid these “dangerous” merchants because of the perceived risks. Of the multiple factors that make high-risk merchants a threat, the primary danger is the increased possibility of chargebacks. Certain elements—the type of product or service being sold, the average dollar amount for monthly sales, the countries the merchant sells to, and more—can drive the risk of chargebacks significantly higher, leaving banks and processors open to millions in potential losses. High-risk status is a bank’s (or processor’s) defense against the cost of too many chargebacks, but ironically, too many chargebacks can actually cause a merchant to be considered high-risk. Merchants can be considered high-risk after losing a merchant account to excessive chargebacks and being added to the Terminated Merchant File. Some might even be considered high-risk simply because of the industry in which they operate. All processors work on the assumption that high-risk clients will unavoidably produce more chargebacks, so they impose prohibitive charges right from the start. High-risk merchants are liable to shell out $300 or more for the initial setup, then pay higher monthly fees plus double or more the normal processing fees. Unless a business has significant earning potential, these excessive charges can put a high-risk merchant out of business, even without chargebacks. High-risk payment processors commonly require their clients to have a merchant account reserve, a non-interest-bearing savings account used by the acquiring bank as a type of insurance: if a chargeback is filed against a business and the merchant isn’t able to reimburse the issuing bank from its regular account, the reserve will be tapped to cover the loss. Merchant account reserves usually withhold 5-10% of monthly sales for about six months. Technically, the money in the reserve account still belongs to the merchant—it just can’t be accessed until 180 days have passed (assuming there are no fees owed). Restricted access to revenue, however, can cause major cash flow issues for merchants. For each chargeback received, the merchant is charged a fee that covers the administrative costs of processing the chargeback. A high-risk payment processor, however, will have considerably higher fees for each individual instance. And if a merchant already in a high-risk business receives excessive chargebacks, the costs go up even more. Since high-risk businesses are, by definition, in greater danger of sustaining chargebacks, these extra fees present a type of “double jeopardy” that costs merchants even more. We’ve seen how the “high-risk merchant” label hurts merchants, but is there an upside? It may be hard to believe that there are actual benefits that cause some businesses to seek out high-risk credit card processers. To thrive in an increasing global economy, many merchants—particularly those in eCommerce—discover that the pros of using a high-risk payment processor outweigh the cons of higher processing fees. The earning potential of eCommerce sales alone can make high-risk merchant accounts seem appealing; add in the prospects of selling to more places—and in multiple currencies—and the revenue opportunities might just balance out the risks. But a recurring payments (subscription) model can become a sustainable source of long-term growth. In fact, many merchants rely on the steady stream of income that installment billing and recurring payments can create, and consider it worth the expense of using a high-risk processor. The same is true of merchants who seek the potential profits of big-ticket transactions. This is just a small sampling of all the “blacklisted” MCCs. These constraints make it difficult or impossible to sell products or services in some of the highest revenue-earning niches. With a high-risk merchant account, however, a business can sell just about anything imaginable. Chargebacks can be controlled. Ask us how. While traditional merchant accounts usually assess a lower chargeback fee than high-risk credit card processing, the merchant/processor relationship can be tenuous. Acquiring banks constantly monitor the chargeback-to-transaction ratio of their merchants. If the chargeback threshold—usually around 1%—is crossed, the acquirer may abruptly terminate the merchant account. At that point, the business will be forced to seek out a high-risk merchant account, stop taking credit cards, or simply go out of business. A high-risk merchant account, on the other hand, is very rarely terminated because of excessive chargebacks. The merchant might pay higher fines, but the longevity of the business isn’t in danger. Of course, the ideal is still to keep chargebacks as low as possible, but the merchant doesn’t need to panic over a bad month. Flexible accounts, easy set up, and competitive pricing are the hallmarks of CardMax Payments. The company offers extended services, relying on long-standing relationships with more than 30 domestic and international banking providers. With both users and industry insiders, Cayan has a reputation for delivering high-quality products and services and customer-centric business practices. They’re also known for reasonable pricing, and not requiring an early termination fee (ETF). Durango Merchant Services offers a wide range of services to both U.S. and international merchants, with a focus on high-risk merchants. Durango has earned high marks for its outstanding customer service and customized pricing plans. eMerchantBroker.com primarily serves high risk e-commerce businesses, and as such their charges can run higher than industry norms. Still, they have a positive reputation for honest, transparent customer service and reliable support. Providing payment processing solutions that are customized to each unique business and its industry, GMA offers advisors to guide merchants in every aspect of the process. Other services include Loyalty Cards and Customer Reward programs. Host Merchant Services offers standard processing as well as special services for high risk merchants. The company specializes in e-commerce businesses, even going so far as to offer a free website and email address to new merchants if requested. With 25 years’ experience, Inovio emphasizes their seamless integration and service services that work with multiple payment technologies. The platform also includes APIs that are adaptable to virtually any programming language. Instabill specializes in merchant accounts and offshore processing for high-risk ventures … and ones operating in high-risk locations. They offer an impressive range of international accounts, any of which can be set up to accept over 150 major currencies. With solutions for small businesses or large corporations, Payking offers affordable merchant services, online credit card payment processing, and multiple other services … all seamlessly integrated with the merchant’s existing platform..
Payline Data stands out as a merchant-friendly provider offering non-predatory rate structures and quality customer support. A great general account provider, the company also extends service to businesses in certain high-risk verticals. PaymentCloud offers high-risk merchants competitive rates, reliable service, and easy set-up. They also provide a range of merchant-friendly perks, including a dedicated rep for the life of the account. Pricing is based on business type and processing history. A relatively young company, Soar Payments has catered its offerings to high-risk merchants and those needing offshore credit card processing. The company provides expert specialized service and transparent pricing packages. T1 Payments is a new kind of service provider, with options different from a traditional merchant processor. They offer a dedicated end-to-end solution, providing all necessary acquiring and processing services under one bill, all for one flat rate. Ultimately, all the indicators of potential risk boil down to chargebacks. A processor looks at the merchant’s earnings, offerings, and typical customers to determine the risk of chargebacks. While there isn’t much one can do about the subjectivity of the evaluation process, a merchant can prevent chargebacks from happening. Chargeback management is important for all merchants, but it becomes an essential task when considered in context of high-risk credit card processing. Assuming a merchant isn’t making the deliberate choice to use a high-risk processor, there are scalable enterprise solutions available to help mitigate risk for all types and sizes of businesses. Chargebacks unnecessarily steal profits. Using high-risk credit card processing should be the merchant’s choice, not simply a determination based on chargebacks. 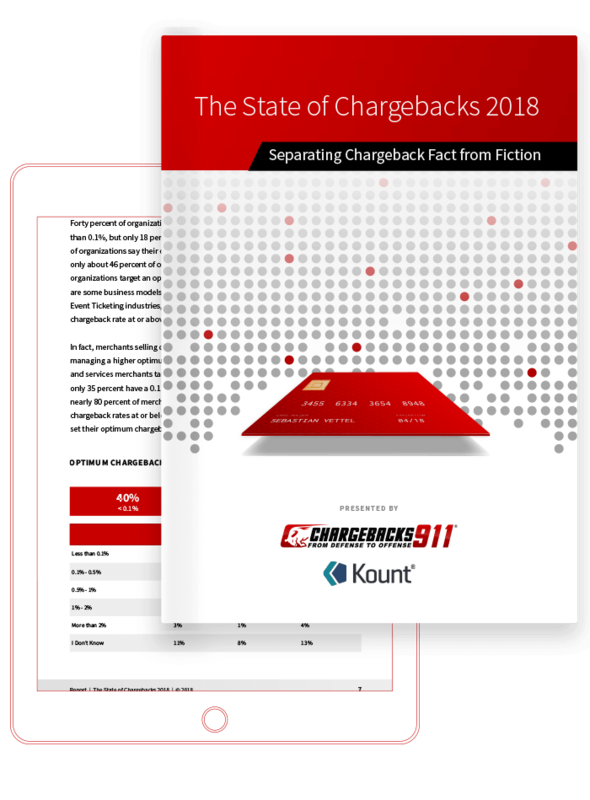 Whether you’re currently working with a reputable high-risk payment processor or hoping to avoid the label of “high-risk” altogether, Chargebacks911 can help you increase profits and ensure the longevity of your business. Contact us today and we’ll show you how.